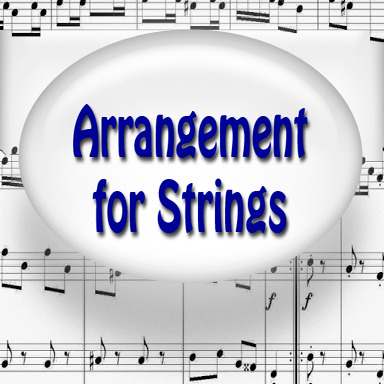 All arrangement for strings are made by Pedro Alfonso (MD at Xtrings). Now you can have the experts working for you at an affordable price! Please, note: To keep arrangements for strings at this price we will not print and send them to our clients. Low price arrangements are made for recording purposes only. If you need a printed copy, please select the "I need a printed copy!" option. Pedro Alfonso will use all his expertice and talent to write the arrangement for your project. Arrangements payments are not refundable.